The brain is a wonderful thing. It can store volumes of information, controls our bodily movements like walking, talking, breathing as well as our thinking functions, emotions and how we behave. However much we have to be thankful to our brains for, they do need to be carefully managed to ensure that they are always working for our best interests. Infertility brings about a lot of strain on an emotional and information heavy level which can exacerbate our brain power, causing us to feel overwhelmed, scared, anxious and mentally exhausted on a regular basis. One way to help alleviate some of that strain is to find an expressive outlet that will help clear some of the stress from the brain and calm some of the emotion. Everyone will have a different way of expressing themselves that will be most effective for them but personally what I find works for me is a mixture of journaling, blogging (very grateful for this outlet!) and affirmation/ list making, so pretty much anything writing related. For me, as soon as I write some of my fears, thoughts, reflections down, they disappear from my brain leaving more space for a calmer perspective to flow through. Art: If you’re a creative, visual soul then finding an expression through art might be up your street. You don’t have to be Van Gogh to be able to use one of the adult colouring books, join a life drawing class or a beginners pottery class. If you like the idea of being more creative through art then there are plenty of options that could provide a welcome distraction and form of expression where you won’t be judged on your ability as we don’t want to add to the stress! Exercise: We all know the great effects that exercise can have on the body but it can also do magical things for the mind as well. You don’t need to be pounding the treadmill for an hour (although if that’s your thing, go for it!) Exercise takes many forms and it’s all about finding the right sport for you; whether it’s yoga, Zumba, dance, team sport, swimming or the gym, there will be a form of exercise that works for you and doesn’t feel like a chore and the benefits of doing it regularly will definitely pay off for your overworked brain! 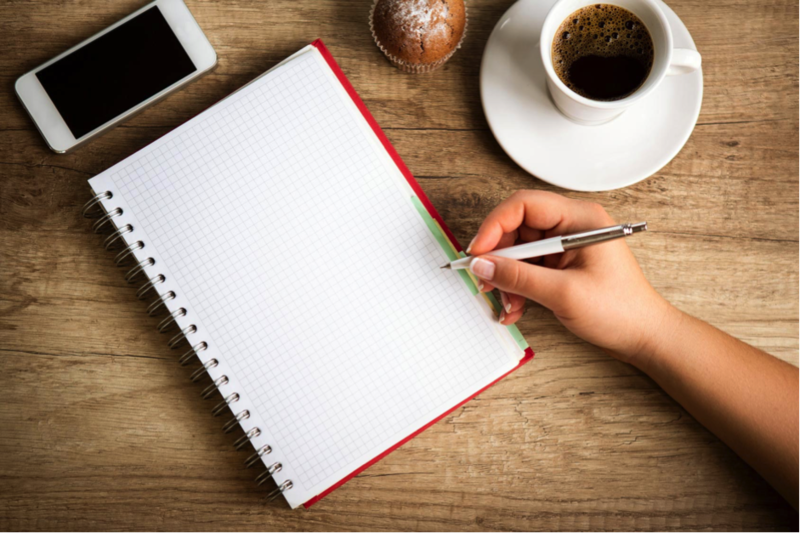 Writing: Writing can also take many forms; journaling has become very popular recently but it’s really just like writing a diary which you might have done when you were younger. By putting your fears, hopes, daily to dos down on paper, you free them from inhabiting your brain so you can just keep hold of the positive stuff. Music: Again, you don’t have to be very talented to make this your go to expressive outlet. If you play an instrument then great, but if you don’t, everyone has a voice and groups such as Rock Choir are so much fun and open to all abilities. All you need is enthusiasm! Talking: The pure notion of voicing your emotions and what you’re going through aloud to someone close to you or a counsellor can really help bring clarity to your mind. It often happens that as we start talking, what might have seemed insurmountable suddenly doesn’t seem that impossible anymore and it’s always reassuring to know that you’re not on your own and you have someone who is willing to listen to you. Hope you enjoy finding your best form of expression and will speak to you soon! You May Like Infertility and Suicide - What's the link ?